Have you ever wonder why there is a button “I’m Feeling Lucky” on Google’s search page? Pressing it will take you directly to the site which comes first in search, instead of showing to ‘search result’. And you probably know that you can search from Chrome’s Omni bar. 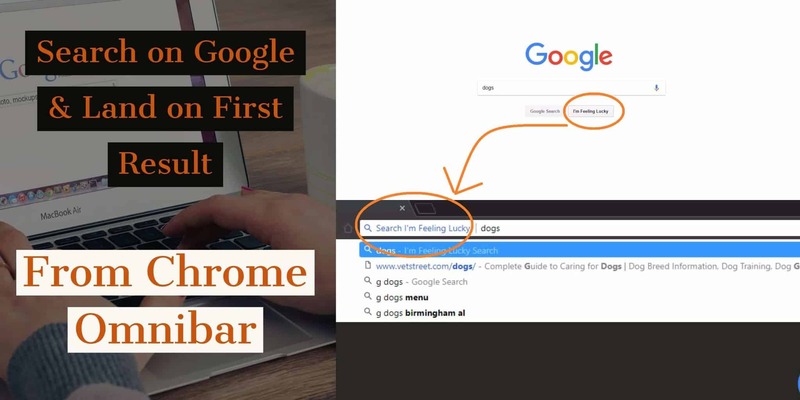 Google Chrome browser’s URL bar is called as Omni bar. Type anything there and press enter, it will take you to Google search result. How to configure the settings to perform the search like above? 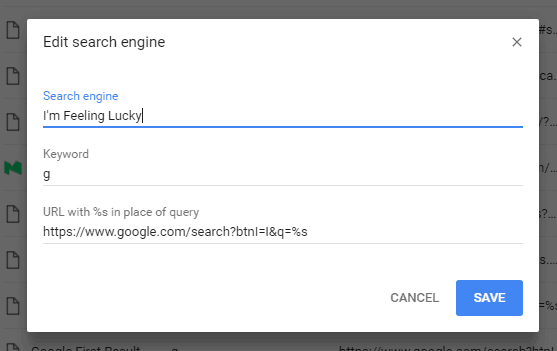 Name the search engine as “I’m Feeling Luck” or whatever you like. The settings should look like in the below picture after filling all the details. Enjoy the handy search engine to land on any site you wish to see. You don’t even have to type the full URL of the site. Here in the video example, I just typed “bbc” to go to BBC site instead of typing the full URL “bbc.co.uk”.